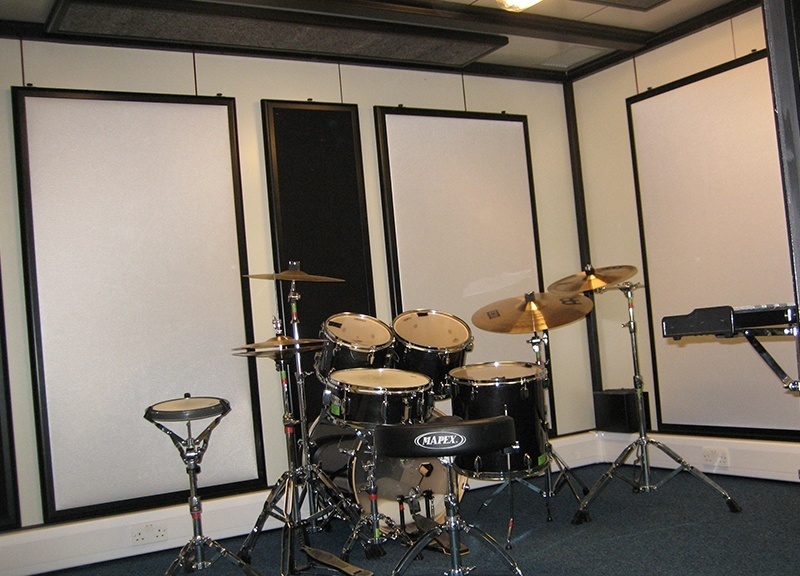 Philip Dewhurst, Director of Music @ Cheadle Hulme School near Manchester, was in need of a Band Practice Studio/Drum Room, but “it must be sound-proof”! The only area within the music school for such a structure was to be on a long redundant balcony overlooking the main performance area, yet as this space is also required for Exams it was critically important there be no sound transmission. 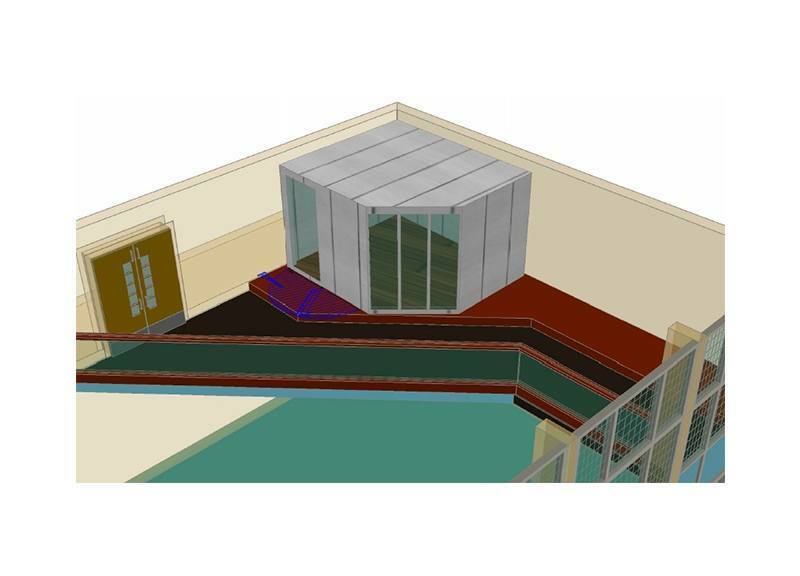 Designing a structure that would be robust enough to retain the sound of band-practice including amplified bass guitars, and to have a wall of glass across the long section for natural light, and to aid teacher supervision. The room designed and supplied by Boxylab s.r.l. was the perfect answer. It was good to note that once built there was no sound transmission past 1m and none above ‘low ambient’ into the wider space. Our new modular practice room is splendid! Staff love teaching in it. 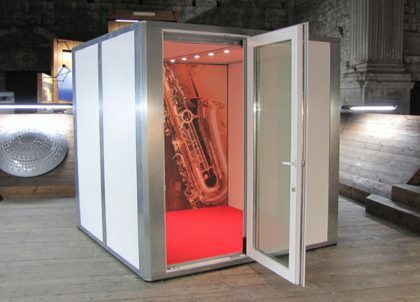 This is a first class product both acoustically and from an aesthetic stand point. The smart, contemporary design has enhanced an otherwise ordinary area. I cannot fault the management of the project from the initial consultation with Amadeus to the design and installation of the room. 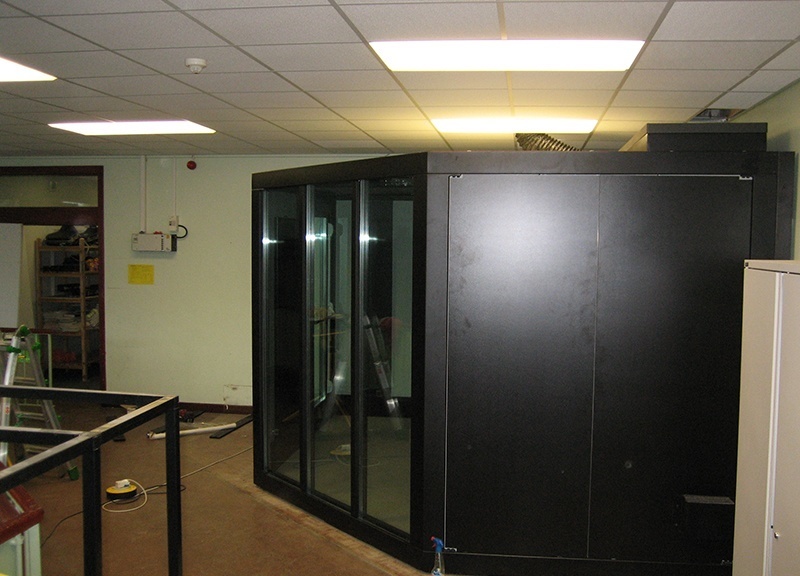 Many thanks to Cheadle Hulme for featuring in our Case Study.